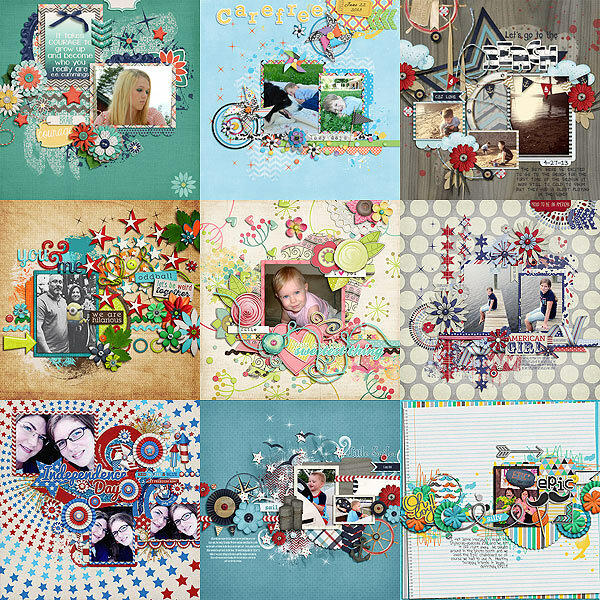 Fiddle-Dee-Dee Designs: Fuss Free: Star Spangled 1 & 2 ~ New This Week and FWP AND Iron Scrapper 2013! Fuss Free: Star Spangled 1 & 2 ~ New This Week and FWP AND Iron Scrapper 2013! Fuss Free: Star Spangled and Fuss Free: Star Spangled 2 templates are grounded with unique constellations of stars that form a fabulous base for a variety of photo spots and elements ~ perfect for documenting Fourth of July celebrations, parades, pageants, and picnics. Purchase Fuss Free: Star Spangled and get Fuss Free: Star Spangled 2 FREE. Offer valid through July 10, 2013. Congratulations to Karyn Allen who was randomly selected from entries in our Iron Scrapper Week One Giveaway. She won the entire IS Week One Grab Bag, In The Forest! Iron Scrapper 2013 has officially started! The Avatar Challenge has been posted and you still have time to create your own unique avatar to earn one point. The Facebook Train Code Challenge is another way to earn one point. Head over to the forum to get all the details for getting on track for this challenge. 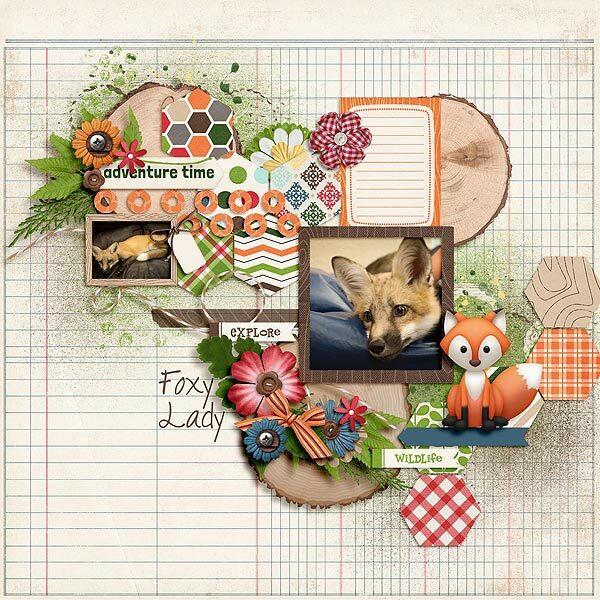 The Iron Scrapper Battle: Round One was Wednesday night at 10 pm EST and was between me and Chelle of Chelle's Creations. If you were able to attend, you earned one point! Neither one of us were able to finish our layouts in the hour allotted ~ gasp! ~ but our layouts will be posted soon so you can vote on the winner of our battle. It's imperative that y'all vote for me! LOL! 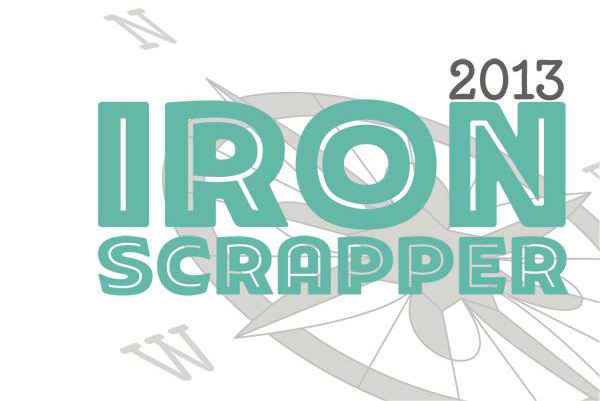 Iron Scrapper Battle: Round Two will be next Wednesday, July 10, 2013, at 10 pm EST in the Adobe Connect Room (the details for logging into the room and a link to the room will be posted in the near future). Here's my UNFINISHED layout (the finished layout is a little further down in this post). I was close to being finished, but my title work was missing, there was one word art strip I needed to add, I needed to journal, and well, I just had more things to move and tweak. But I thought I did pretty well to get this much done in an hour! The Iron Scrapper Weekly Challenge: WEEK ONE has been posted. Make sure you go to the forum to read about the requirements and deadlines for this challenge. You can earn up to five points for this challenge. 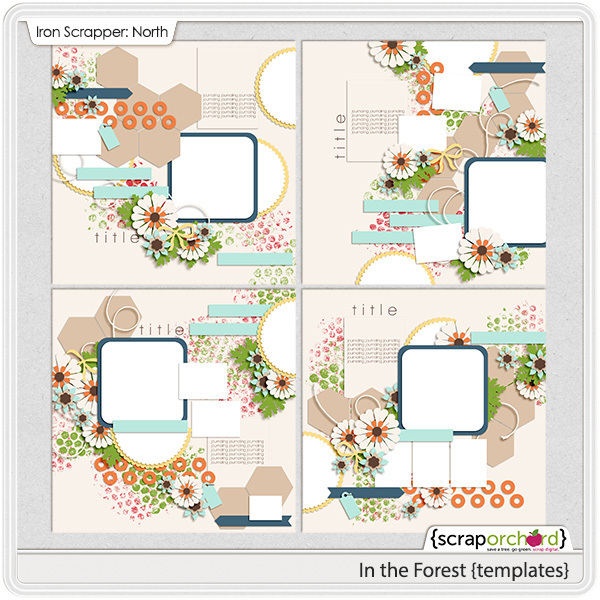 I am so excited to also share with you the templates I created for the Iron Scrapper Week One Grab Bag called In The Forest. 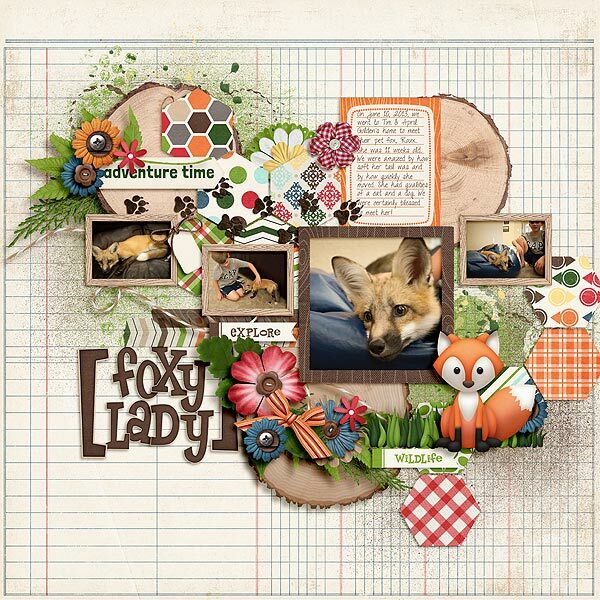 This grab bag contains contributions from: Amanda Heimann, Chelle's Creations, Dream Big Designs, Fiddle-Dee-Dee Designs (that's me!0, Happy Scrap Girl and Kristin Aagard Designs. 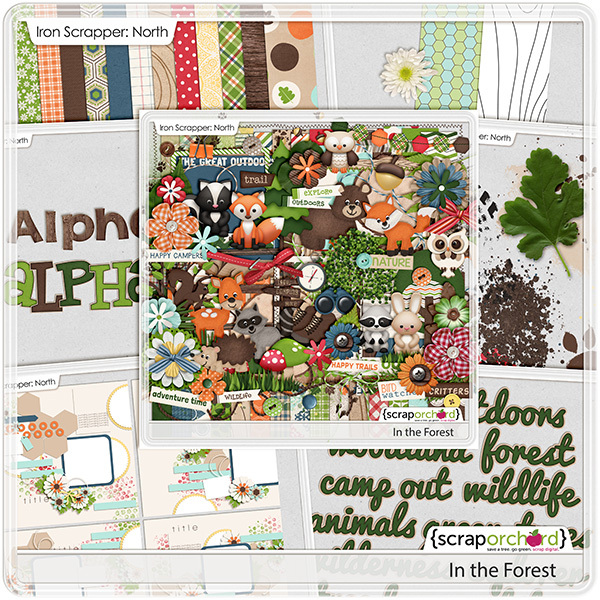 Included in the Iron Scrapper Week One Grab Bag: In The Forest Kit, In The Forest Bonus Papers, In the Forest Alphabets, Fuss Free: In The Forest Templates, Forest Friends (CU), In The Forest Page Titles, In The Forest Graffiti. And here's a peek at the entire grab bag. Click on the image to go to the Market. It's only $4 ~ this is a limited time offer ~ so make sure you get it at this great price while you can! Here's my layout I finished after tonight's IS Battle: Round One! I'm so glad y'all stopped by. Sending wishes out for a Happy Fourth of July to my fellow Americans, and hoping everyone has a safe and happy weekend! Make sure you are recording those memories!